A hard-charging Marquez reinforced his title of 'King of the Ring' on Sunday. 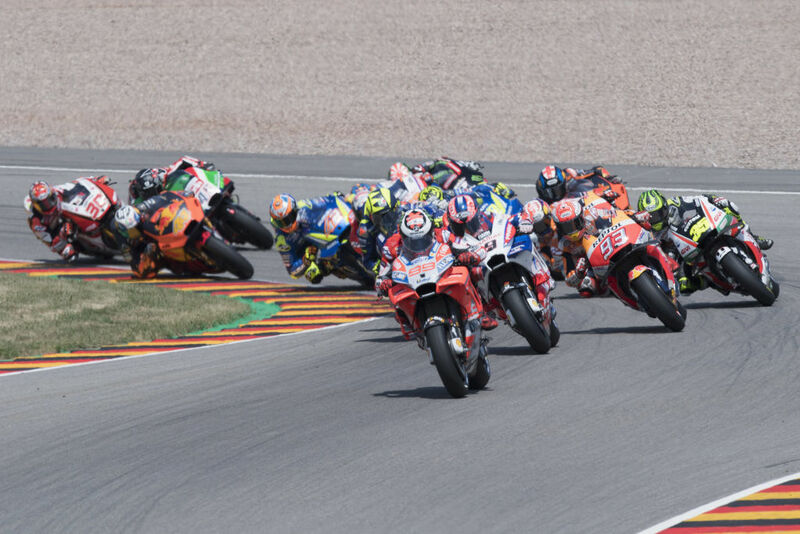 Reigning MotoGP world champion Marc Marquez put on an incredible show on Sunday at the Pramac Motorrad Grand Prix Deutschland, which saw him clinch his ninth victory at the iconic Sachsenring race track. While Marquez's performance could be labeled as blinding and dominating, it wasn't necessarily an easy day for the Spaniard. 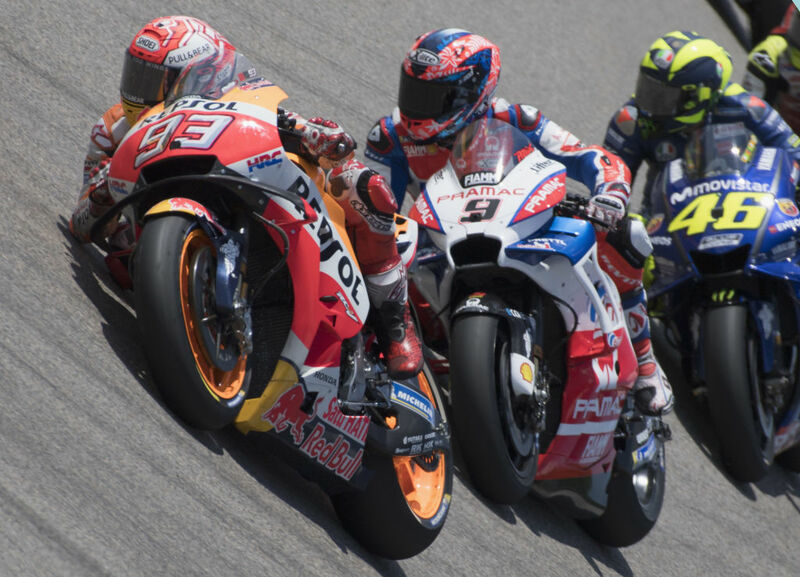 Following a disappointing start that saw him drop from first to fourth place, Marquez rode a conservative race that allowed him to save his energy and tires for the closing stages of the Grand Prix. Meanwhile, Jorge Lorenzo's strategy was the complete opposite as the Spanish rider squeezed the most out of his Ducati to lead more than any other rider on Sunday. 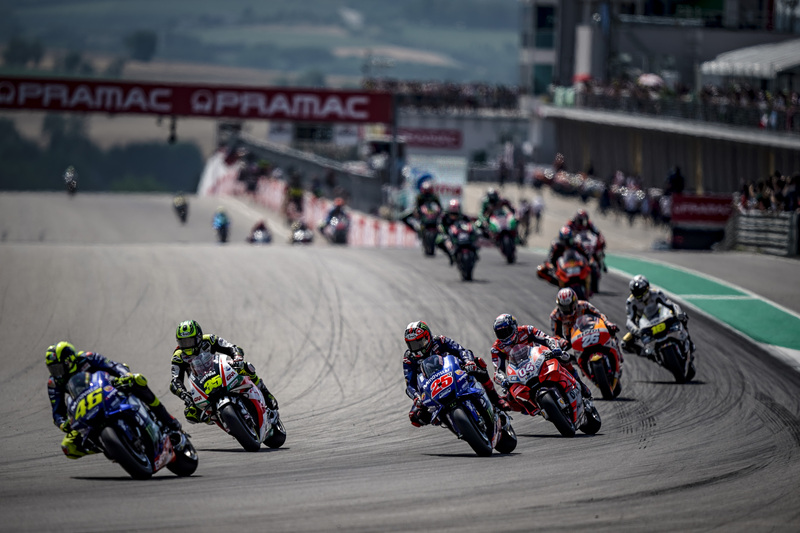 As the first quarter of the race came to a close, it was Lorenzo who led the pack with Yamaha's Valentino Rossi following closely in second place, and Danilo Petrucci in the third position for Pramac Ducati, who was enjoying a home race in Germany. However, by the time the half-way mark came around, it was evident that Lorenzo's decision to outfit his factory Ducati with a soft front tire and medium rear wasn't the right one, as the future Honda rider kept on pushing wider and wider on the turns as his front end washed away. This was the moment Marquez had been waiting for, as his relatively easy pace in the top four had allowed him to save the best for the end and he quickly jumped to the front once Lorenzo's woes began. It was a similar story for Petrucci, who ended up falling to fourth place after running in second and third for most of the race. At the end of the day, Marquez reacted so precisely to the conditions that he could've stolen Rossi's nickname of "The Doctor," even if it was for just one race. 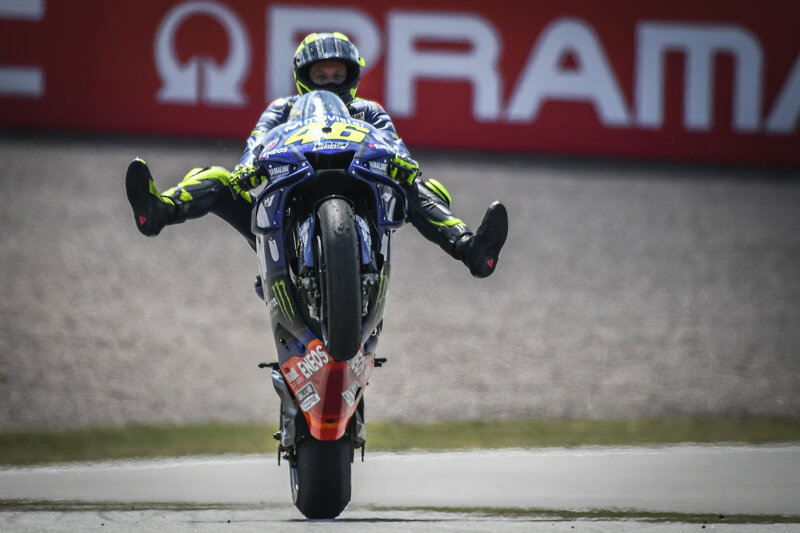 As a result of all the shuffling and excessive tire wear, it was Yamaha's Maverick Vinales who climbed to third place and joined his teammate Rossi to wrap up the Honda, Yamaha, Yamaha podium. With today's points in the bag, Marquez now has a massive 46-point lead over Rossi, who holds a 10-point gap over his teammate Vinales. It was all or nothing for Marquez, who narrowly beat Danilo Petrucci and Jorge Lorenzo.